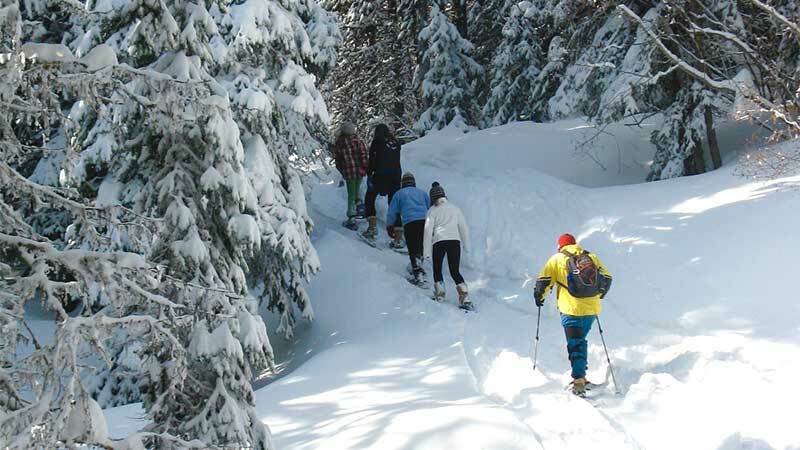 Baldy Mountain Resort in the Okanagan, BC, offers snowshoe trails for beginners and the experienced alike. 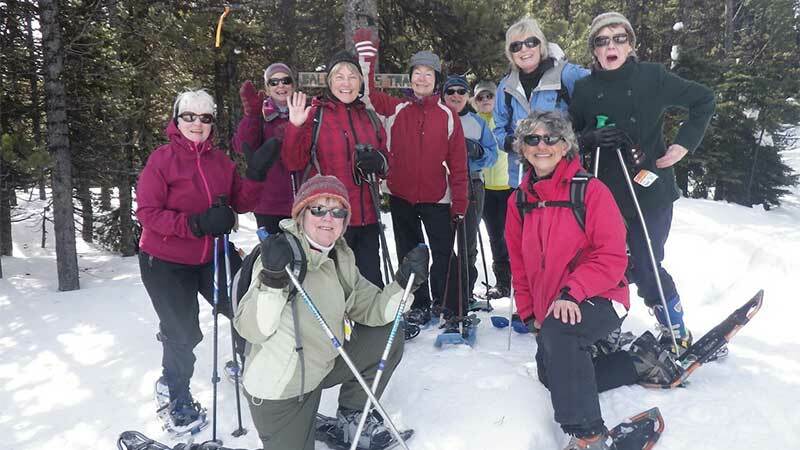 Snowshoeing is a great activity for those who want to go at a slower pace and take in Baldy Mt’s incredible views while the others are skiing or riding.. Join a guided tour and learn about the mountain’s history, discover some new terrain, or just enjoy the peaceful quiet away from the crowds. Bring your own snowshoes, or rent from our rental shop and explore! After a refreshing trek on the mountain, head to the renovated Baldy Bar and wind down with a cocktail and some warm food. The Baldy Mt trail crew has done a deep dive into the existing and new snowshoe terrain. If you haven’t checked out the Baldy Babes Snowshoe program, you’ll want to make sure you do! It’s a fun way to connect with other nature lovers and get an insider tour from our local mountain experts. Enjoy all the hard work of our rejuvenation on the mountain! Brushing work here was for access off the toboggan park area. The trailhead’s been cleared of all the alder from side-to-side and the trail around the bridge has been redirected for safety. If you haven’t seen the view from the bare patch on a bluebird winter day, you are missing a bucket list item! The rest of the impassible sections of trail have been remarked with flagging tape and all the deadfall that covered the trail to Gruhls’ Pool has been cut.